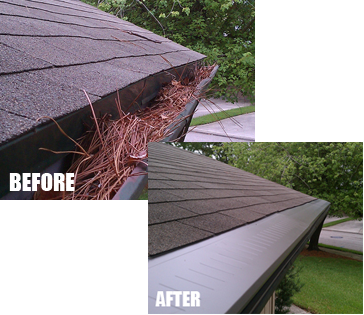 Discover the difference the Gutters & Covers LLC team can make in your approach to home maintenance! Our professionally installed gutter guards in Jacksonville, FL, are the perfect solutions to addressing harmful debris buildup and water runoff. They’re made with tough materials that can stand up to severe North Florida weather, so reach out today to learn more about your options and get your free estimate! Each house gutter guard we install is independently tested and certified. This provides our clients with the peace of mind they need to rest easy during sudden storms (and especially hurricane season). Don’t spend another moment stressing about your home’s gutters--instead, keep your gutters debris-free and functioning perfectly with our original Gutter Topper. If you’re a homeowner, chances are you’re familiar with the struggle of regular gutter cleaning. Gutters are prone to clogs, especially in Florida, a state that receives more than its fair share of windy storms. Leaves, twigs, and other debris frequently fall into gutters and build up over time, preventing the flow of water. And we haven’t even mentioned bird nests yet! Gutters & Covers LLC offers a smarter approach to gutter protection. Unlike other gutter guards, which only keep material from clogging your gutters, the Gutter Topper is also able to withstand the challenges of severe weather and storms. It can even resist wind speeds of up to 100 MPH. This helps maintain the quality of your gutters’ performance long into the future. Thanks to their compliance with Miami-Dade county regulations, which are some of the strictest in the United States, our Gutter Topper guards have a reputation for reliability. They remove the stress associated with cleaning or unclogging gutters, saving you valuable time and energy throughout all seasons. Experience the difference these amazing additions can make in your home maintenance routine--upgrade today. Ready to make the switch to Gutter Toppers? 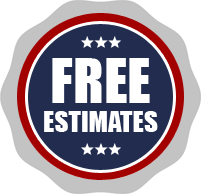 Reach out to our friendly staff to request a free estimate based on details about your home. We offer gutter protection products in many different materials, sizes, colors, and designs, so it’s easy to find one that perfectly complements your property’s existing color scheme. All Gutter Toppers come with transferrable lifetime warranties. This means you can count on your gutter guards to protect your home for years down the road. Contact us today to learn more about our sturdy gutter guards. We proudly serve homeowners throughout Jacksonville, Florida, and the surrounding areas.